Though this topic is not exactly British, I know, yet again. But Freemasonry is something I love and enjoy. I think people should understand exactly what being a Freemason entails, and exactly why it was so good for me to begin with. I began life as a Freemason late last year. After an email to Grand Lodge I soon recieved a reply. Here is what I was explained about Freemasonry, and yes all of this is open to public dissemination on any Masonic Lodge’s website. – One of the world’s oldest, and largest fraternal organisations. It consists only of men. – This organisation consists of men who adopt the following principles: integrity, goodwill and charity. These form the foundations for a better life. – Freemasonry is not for profit. Fundraising is often done in support of the community or other masonic bodies. A good example is the provision of GPS units to all St John ambulances in New Zealand. – Freemsonry is comprised of men, of good character. Though we are not perfect, we share ideals of love, relief and truth. In addition, to become a mason, a man must have faith in a higher power. Going to lodge, or being a practising mason is not like Eyes Bored Shut (thanks Ryan) rather it’s an exciting mix of tradition and discovery. – A secret society. Freemasonry encourages confidentiality. This is an idea all men should seek to uphold. When given or told something in confidence, try not to reveal it. Its a tenant we should all possess. The only ‘secrets,’ traditionally spoken of in freemasonry are certain signs or passwords. These stem from tradition, where many craftsmen of the medieval period were illiterate. These signs and passwords were used to recognise another artisan, so as to not reveal the secrets of your trade. – It is not a benefit society and to join for personal gain will only lead to disappointment. Networking is done, naturally – but you’ll build a network of friends, first and foremost. The best part about being a freemason is life time friendships with men of various ages, beliefs, ethnicities and education levels. Why did I choose to become a mason? I don’t know. But i’m glad I did. To this day, i’ve never met a mason I don’t like. I have met over 100 men I am proud to call brothers. How do I become a mason in New Zealand? Seek and you will find; knock and the door will be opened to you. The dinner shirt. Explained. Again. For all of those, who are about to read this and work in retail, I apologize. ESPECIALLY – if you know what you’re talking about, even if it’s only half the time. A black tie, dinner, formal, white tie shirt or otherwise does not have to be pleated. Nor, unless it’s strictly white tie, does it have to possess a a winged collar. I like winged collars, but I don’t like a pleated front, nor do I like a heavy textured cotton like she had sitting on the shelf, which obviously hadn’t sold because no one else liked it either. I hate to moan and groan, but i’d love for the tart to see this blog post. Here’s what is required of a gentleman, when a black (or white) tie event or function arises. The typical black-tie jacket is single-breasted, ventless, and black or midnight-blue; usually of polyester, wool or a wool–mohair blend. Double breasted models are less common, but are equally acceptable. The Duke of Windsor had all his formal jackets made in a midnight-blue (which is more correct) because the blue becomes more black in low-light, or under moonlight. (Traditionally there are two lapel options, the shawl collar, derived from the smoking jacket, and the peak lapel, from the tailcoat. The former is older, while the latter is considered more formal.) – I prefer the shawl collar, as shown. The shirt – this is important so pay attention! The shirt is conventionally white or off-white (cotton or linen) with a turn down collar. Its front is usually traditional marcella but can be pleated, plain, or more rarely a stiff front (as with white tie). I like plain front shirts. I’ve been wearing a tuxedo for about seven years, and never have I come across such sartorial ignorance and sheer incompetence like I encountered today at the worst store i’ve ever stepped foot in. Another lovely example by the genius that is Gieves and Hawkes. – Shawl Collared, single (or double) breasted, black (or midnight blue) jacket. 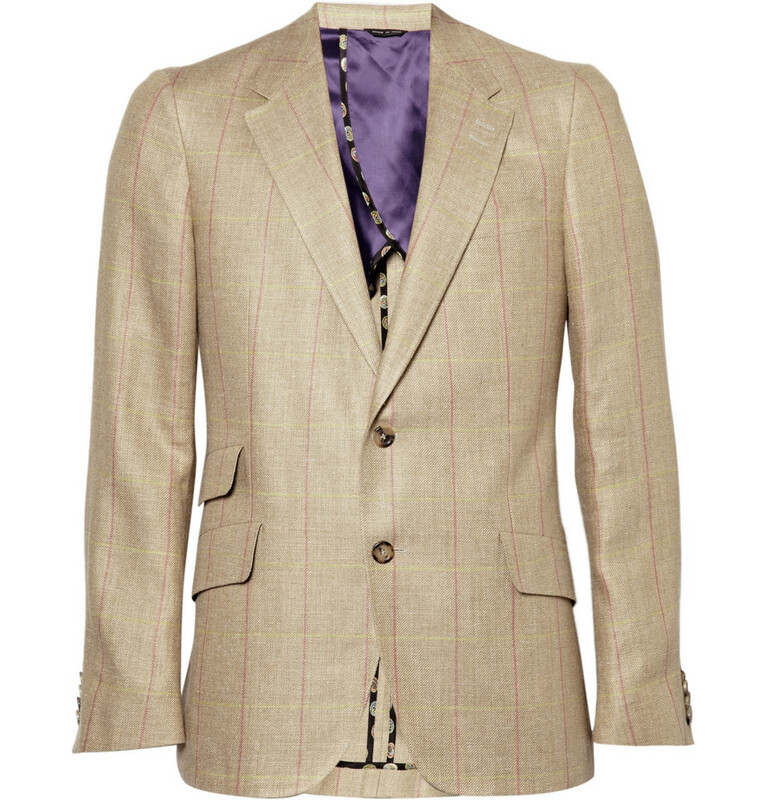 Silk or grosgrain lapels and single button, with matching silk or grosgrain on jacket cuff buttons. – Plain or pleated white shirt, with gold and onyx, or mother of pearl dress studs and cufflinks. – Plain black silk cummerbund and self-tie (learn how to do it, lazy!) bow-tie. – White moire’e braces – buy Albert Thurston – do not by clip on either, you’re not a clown. If they are not required, then don’t wear them. – Matching black, midnight blue trousers, with a single silk or grosgrain running vertically up each trouser leg on both sides. – Silk dress socks, in black or midnight blue. – Patent leather oxfords. 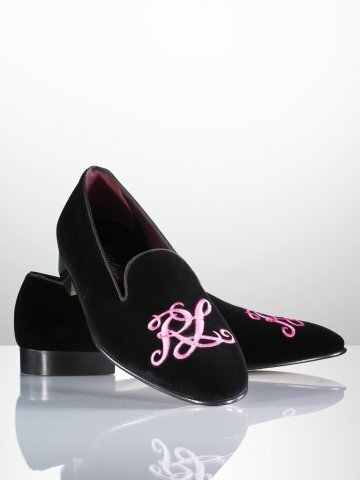 Or velvet slippers. – No jewelry. Definitely no watch, it’s considered bad manners – as you should be having such a time, there will be no need to check when the driver is coming to whisk you home. Wear a plain wedding band. – Iron, press, steam everything to perfection – you will be strutting your stuff, look your best. – Wear everything with confidence. People respect this attire, it’s hardly seen and it really is candy for the eye. New Zealand reader? Dig this. Run by good friend, the company is new but already making waves down-under. Check out the website, and get great service and amazing pricing. Guardian Medical is a revolutionary appearance medicine service bringing Botox® and Juvéderm® to your very own home or business. We offer the most competitive prices in New Zealand, and our staff of highly trained professionals has over 8 years of experience in the clinical setting. Enjoy the best appearance medicine treatments at our clinic, at your business or in the comfort of your home. You can even hire Guardian Medical to host your very own BOTOX® party. James Thomas Byford McCudden (1895-1918) was a long-serving, high-scoring British fighter pilotduring World War One. Having enlisted with the Royal Flying Corps as a mechanic the year before war began, in 1913, McCudden was promoted in time to Sergeant. He determined to train as a pilot. The sudden switch worked, as it so often did during the First World War. McCudden proved a natural in aerial warfare. Having amassed a collection of ‘kills’ McCudden was awarded the Military Medal in September 1916. This was followed by a formal commission into the Royal Flying Corps. The following February he won the Military Cross, to which he added a bar six months later. 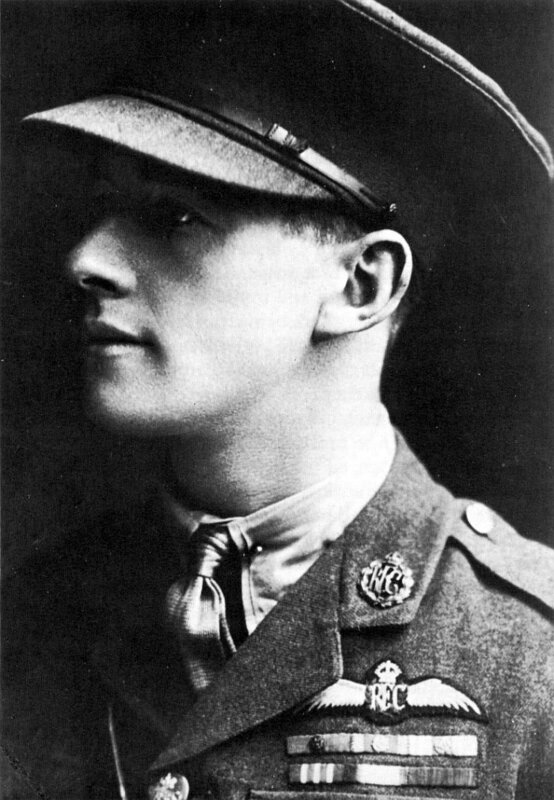 The recipient of a further award in March 1918 – this time the highest, the Victoria Cross – McCudden, with 54 victories to his credit was en route to France when he was killed in a flying accident on 8 July 1918, failing to take rudimentary steps following the stalling of his engine. His spell of five years in the British air service placed him among the longest-servers in a profession notorious for its abbreviated service (and life) expectancy. Shortly before his death McCudden published a renowned memoir of his air war, Five Years in the RFC. 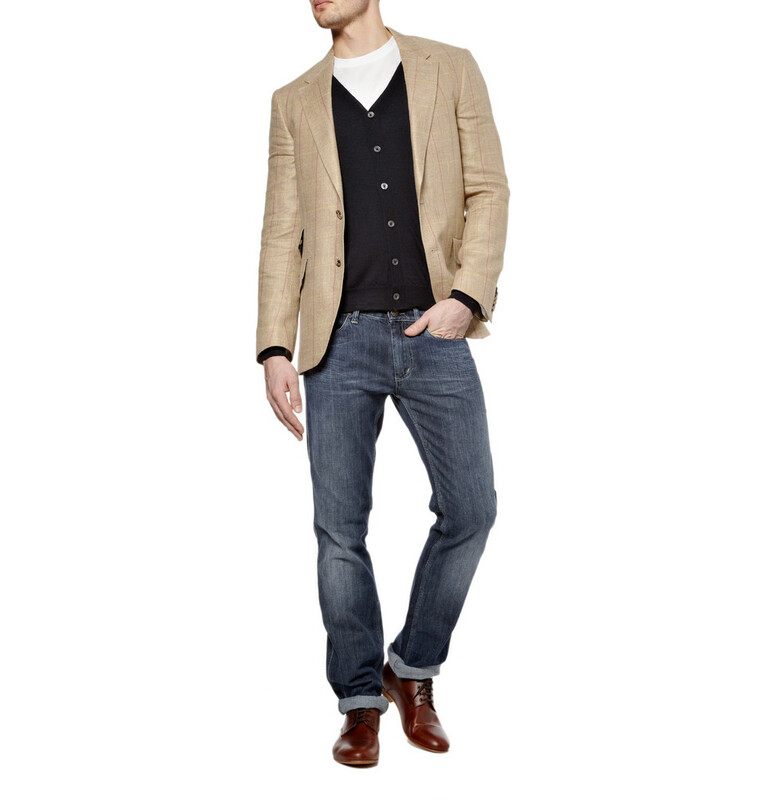 Add electric style to an off-beat look, with a Derek Rose T-shirt, Jil Sander cardigan, Acne jeans and b Store shoes. – Excerpt from The Everlasting Gospel by William Blake.